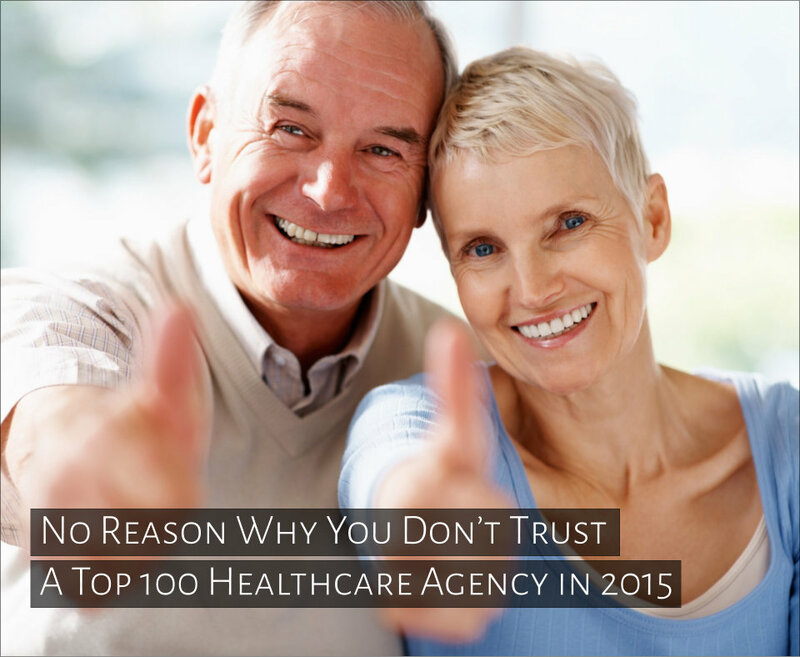 No Reason Why You Don’t Trust A Top 100 Healthcare Agency in 2015 | West Coast Nursing Ventura, Inc.
West Coast Nursing Ventura, Inc., our top notch home health care in Hillcrest Drive Thousand Oaks CA is not just like any other home health care provider in the neigborhood. West Coast Nursing Ventura, Inc. is an awardee as the top 100 health care agency in 2015. Such recognition puts the highly rated home health care in Hillcrest Drive Thousand Oaks CA in the company of the health care elite. Apart from the coveted honour coming from no less than The HomeCare Elite, West Coast Nursing Ventura, Inc. has been cited by other accrediting bodies like BBB and The Joint Commission. BBB has determined that our agency meets BBB accreditation standards, which include a commitment to make a good faith effort to resolve any consumer complaints. BBB has noted that West Coast Nursing Ventura, Inc. received zero complaints as regards advertising and sales issues, billing and collection issues, delivery issues, guarantee and warranty issues, and problems with products or services. Best of all, BBB knows of no government actions involving the marketplace conduct of West Coast Nursing Ventura, Inc. The high quality home health care in Hillcrest Drive Thousand Oaks CA has been a BBB accredited business since 15 March 2011. Another accrediting body where our company got high marks is from The Joint Commission, an organization whose aim is to see to it that people always experience the safest, highest quality, best value health care across all settings. The Joint Commission is a no pushover. It is considered a favourite among several other accrediting bodies due to its reputation for excellence, the educational and professional nature of its surveyors, and its willingness to help through the accreditation process. The reviews and recognitions we have been reaping from many distinguished organizations and accrediting bodies are nothing but overwhelming. Truly, there’s no reason why you don’t trust a health care agency with such an outstanding reputation and unparalleled brand of service. Why don’t you keep in touch with us now? It’s rather easy to locate our place. We are at 2955 E. Hillcrest Drive, Suite 121, Thousand Oaks, CA 91362. (view map & directions »). We would be happy to accommodate all your home health care concerns through our phone line 805-496-0900, fax number 805-496-0906 or email facility at wcnv@wcnventura.com. Those who are active on Facebook, Twitter, LinkedIn and Google+, please follow us through these sites. Our staff can attend to your questions, suggestions, complaints and requests therein. May we know your reactions as to the status of our agency as one of the top 100 health care providers in the country today? Please post them in the comments portion below. This entry was posted in Home Health Care and tagged Home Health, home health agency, Home Health Care Services. Bookmark the permalink.